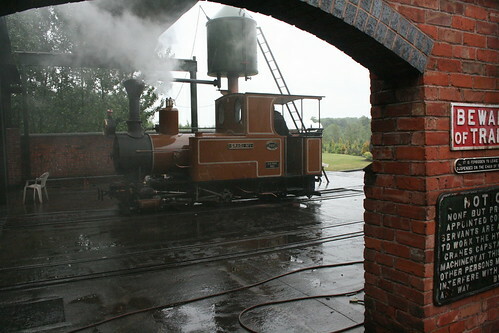 A long day-trip on Saturday took me to the privately-owned Statfold Barn Railway in rural Staffordshire. It’s an area not really known for a wealth of narrow gauge, but this really is a hidden delight. Originally created as a base for a number of industrial steam locos repatriated from Indonesia and other far-flung places (and Harrogate), Statfold is opened to enthusiasts three times and year and the event was very busy even despite the dreary weather. As well as a superbly maintained shed and station area, the railway heads out into nearby fields for over a mile before a balloon loop turns the trains around for the return journey. 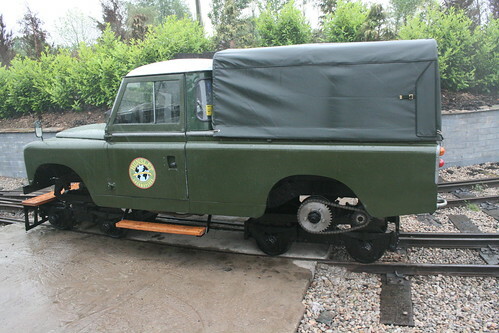 What’s more, the whole thing is laid to dual 2′ and 2’6″ gauge with some complex pointwork and even a couple of standard/narrow gauge crossings thrown in. There were a grand total of eight locos in steam, and an intensive services of goods, mixed and passenger trains running. 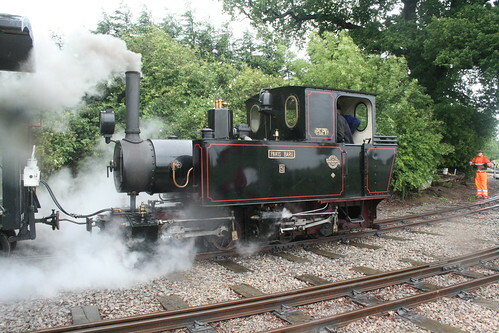 The engines ranged from a selection of Orenstein & Koppels (including a mallet from Indonesia), via the ex-Harrogate Gas Works Peckett, a powerful Belgian La Meuse, the last industrial steam loco built by Hunslet in Leeds, to the new-build “quarry” Hunslet “Jack Lane”. 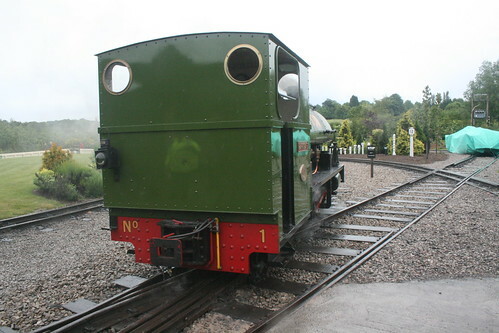 As you might expect from such a site there was also a veritable treasure trove of other narrow and standard gauge items in varying states of restoration – much of it with some significance to Hunslet. Access to the railway is pretty much unrestricted, the enthusiast visitors are trusted to exercise a modicum of common sense around large mobile machinery and so there were some brilliant opportunities for lineside photography (rain notwithstanding). Altogether a quite unique and very satisfying experience. Despite the long drive I would love to go back! The camera was snapping away most of the day, and there is a large set of photos from my day on Flickr. 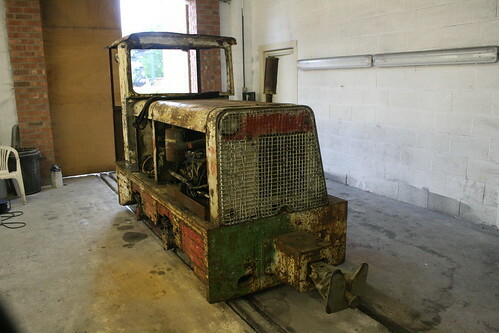 This entry was posted in 2' 6" gauge, 2' gauge, hunslet, inspiration, narrow gauge, photos, preservation. Bookmark the permalink.